We’ve only a few more shopping days before Christmas and many of you will be purchasing a smartphone for somebody in your life, or have one on your own wish list. With this in mind we thought we’d bring you a comparison of two popular phones, the iPhone 5 vs. Lumia 920 as these are likely to be in demand. We’ll take a look at what each has to offer as they enter the gladiator arena and if either is a real defender see which will turn out to be a true fighter like Maximus Decimus Meridius. The stores are so busy at this time of year that it can be a battle just to get to the device you want and make your purchase so hopefully this may help you make up your mind as to which of these phones is worth fighting for. We’ve written many posts now on each of these phones and although there are many other impressive phones on offer, the Apple iPhone 5 and Nokia Lumia 920 seem to be attracting a lot of attention at this festive time of year. If you are open to either an iOS device or one running the Windows Phone operating system then you may be considering one of these. Both have been released in various world regions and on a variety of carriers and so are widely available, so firstly we’ll look at the main specs and features. The iPhone 5 has a 1.2GHz Apple A6 dual-core processor and PowerVR SGX 543MP3 triple-core GPU while the Lumia 920 rocks a 1.5GHz Qualcomm MSM8960 Snapdragon dual-core Krait processor and graphics are catered for by the Adreno 225 GPU. The famous Retina display features on the iPhone 5, which has a 4-inch LED-backlit iPS TFT display with resolution of 1136 x 640 and 326 ppi. The Lumia 920 on the other hand, has a larger 4.5-inch IPS TFT display with resolution of 1280 x 768 and 332 ppi. The latest iPhone has 1GB of RAM and comes in 16, 32 or 64GB internal storage options (non-expandable) whereas the Lumia 920 also has 1GB of RAM but only a 32GB storage option, also non-expandable. The iPhone 5 has an 8-megapixel rear camera with autofocus, LED flash, simultaneous HD voice and image recording, face detection, geo-tagging, HDR, panorama feature and touch focus and it’s capable of 1080p video capture with video stabilization, LED video light and geo-tagging. It also totes a 1.2-megapixel front-facing camera with 720p video FaceTime over WiFi or Cellular and also face detection. Contrast this to the Lumia 920 that also has an 8-megapixel rear camera with autofocus, dual-LED flash, Carl Zeiss optics and optical image stabilization and features Nokia’s PureView technology with touch focus and geo-tagging. 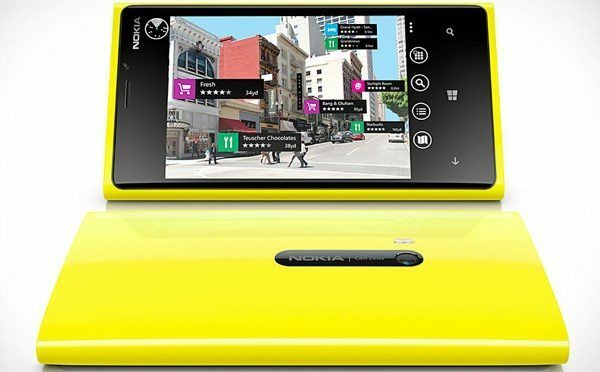 The Lumia 920 also has 1080p video capture with video stabilization and a 1.3-megapixel front-facing camera with 720p video. The iPhone 5 has a 1440 mAh battery while the Lumia 920 steps up to a 2000 mAh battery, something that will appeal to many. The iPhone 5 measures 123.8mm x 58.6mm x 7.6mm and weighs 112g so this is beautifully slim and also light to hold. Meanwhile the Lumia 920 measures 130.3mm x 70.8 x 10.7mm so is bigger all around and it weighs in at 185g, a significant difference to the much lighter iPhone 5. The iPhone 5 is a good-looking handset although some were disappointed when it turned out to look very similar to the iPhone 4S. We had hoped for a new groundbreaking design and although that didn’t happen we did like the difference with the new two-tone coloring, white and silver or black and slate. It still feels as though it’s rather fragile though and easily breakable (you may appreciate an iPhone 5C spoof here). Turning our attention to the Lumia 920 we have to say we really admire the design of this handset, which comes in bright and vivid colors, red, white, black, yellow and cyan and has a stylish squared-off appearance. This is another area where personal preference may well decide your ultimate choice but as we all like something different it’s difficult for us to say which is best. World pricing will differ but as an example, in the US the iPhone 5 will set you back $199 on the usual two-year contract for the 16GB model on all of the major carriers. The 32 or 64GB models cost $299 and $399 respectively. The Lumia 920 on the other hand costs only $99.99 on a two-year contract with AT&T and bear in mind that although this only comes with one storage option this is 32GB and the same model iPhone 5 comes in a $299. This really is a significant saving so if you are still having difficulty making a choice this could well sway it for you. Both of these phones also have LTE connectivity (where applicable), Corning Gorilla Glass, WiFi 802.11 a/b/g/n and Bluetooth (iPhone 5 with v.4.0 and Lumia 920 with v. 3.1) but the iPhone 5 does not support NFC whereas the Lumia 920 does. The Lumia 920 also has support for wireless charging. Obviously there are many more features that each of these phones have but we haven’t room to bring you every single detail. Hopefully though the above information will give you enough to consider which might suit you best. In conclusion we think that the iPhone 5 and Lumia 920 are both notable handsets and a lot of your choice will come down to your own personal requirements from a smartphone and personal preference of design, as well as that price factor of course. It’s difficult to decide a clear champion in this battle as they both offer very different experiences and will suit different consumers. 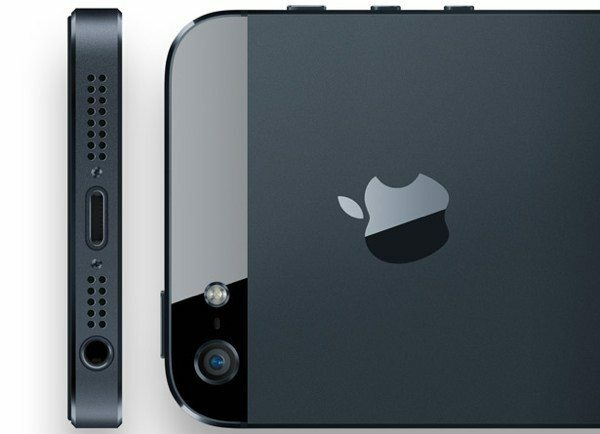 The iPhone 5 is a clear winner in sales and when bearing in mind the reputation of the iPhone and its widespread and loyal fanbase, this will always be a victor. On the other hand the Lumia 920 isn’t outshone on specs and is certainly triumphant in the battle when it comes to price. If it sounds as though we’re sitting on the fence and to be honest in this case we probably are so we’d like to know your thoughts on these two phones in the gladiator arena. Would you always choose an iPhone over a Windows Phone device even taking into account the extra cost? Maybe from this you realize the Lumia 920 has enough to offer you and its low price makes it an easy decision to opt for this instead? Send your comments to let us know. Switched from my Iphone to the 920 and I am not looking back. Love the phone. The best hardware out there right now. Camera is crazy good. I was the one of first people who bought iphone, i bought two first generation iphone for over $1000 with contracts. But the style of iphone is outdated. I had waited for 2 years for new iphone, but the style iphone 5 didn’t make me exciting at all. Think of its cheap aluminum back. ugly unpaired height, and iphone’s old problem of not being a nice phone, I decided to change, both Lumia 920 and S3 look good, but I felt 920 has better quality, the tile looks cool, and the proper weight make me feel that’s a toy for man, (nothing person about female). Ditched my iphone 4, love my white 920 and i’m not going back to iphone. Large screen, amazing display, the best camera ever esp. In low light and the list goes on. Plus with a very stylish, premium design. All the best qualities in one amazing phone. Definitely deserves the award 2012 Smartphone of the Year. I had bought and iPhone and I turned it back. It is not possible to send an email with multiple attachments and even I had the extra battery pack it would not last as my windows phone. Comparing the iPhone to a Lumia 920 is not fair because the Lumia is a modern phone that works while the iPhone is for kids that like to have a “pretty phone”. It simply lacks current technological functions that are available to windows phone since their existence. I’ve always had a iPhone, but after reviewing the 920, I totally made the switch and haven’t looked back. I will admit.. I wasn’t familiar with windows, but after having it for a month now, its very user friendly. Microsoft is stepping up! The Lumia 920 also has Bluetooth 4. “On the other hand the Lumia 920 isnâ€™t outshone on specs” – understatement of the year! The Lumia 920 trumps the Iphone everywhere feature wise, and brings new technologies to the table. Oh, and the Lumia 920 is the first phone to market with pentaband 4g LTE. The Iphone 5 does not have that. I know you can’t say it all, especially when there are so many more great features on the Lumia 920, but you missed out some fundamental things to do with its screen and camera. Also, don’t forget the Rich Recording technology with HAAC microphones. There is not even a single trade off getting the cheaper phone here. In fact, there are a tonne of benefits. Count me in as another happy Lumia 920 owner. Everything from an amazing camera, awesome video, incredible display, 30 to 40 Mbit/sec download speed on LTE, maps that work, great build quality and great Nokia apps such as City Lens. Another great feature, especially here in the cold winters of Canada, is the ability to use your gloves on the screen which really leaves my Apple and Android friends wondering what hit them. I would buy iPhone since the apps store is amazing to explore. There’s nothing to use or to play with what you find in apps store based on wINDOWs. I am using Nokia WP & I am looking for another phone on iOS or Android. So what apps do you miss , all the regulars are there apart from instagram which i am sure will be there in a few months/weeks time, and Developers have been very happy in the way Microsoft has made it so much easier for them to create apps.I cannot wait to get mine.Remember one thing, the Windows 8 phones are full of the latest tech they are the modern phone while the iphone is old and looks it when you have it side by side with the lumina. Also Nokia are very very well known for there build quality, no dropped calls here or cracked screens from a very light drop.